After William the Conqueror imposed upon English monastic houses an obligation to provide knights for the king's army, their new lay military and judicial responsibilities required them to organize honor courts. Because abbots were not merely leaders of religious houses but also honorial lords presiding over secular justice, a study of the monastic honor court affords new insights into the evolution of royal justice in Anglo-Norman and Angevin England. Tribunals of monastic houses answered questions on the knights' tenures and services, assessed and enforced military obligations, and resolved tenants' disputes. Under the Conqueror's sons, monastic lords in England regularly looked to their king for support in preserving and protecting their jurisdiction, and the Anglo-Norman kings responded favorably. Under the Angevin kings, however, administrative reforms altered the nature of the honorial court and hastened the decline of the monastic honor court in the thirteenth century. KEVIN L. SHIRLEY teaches in the Department of History, LaGrange College. 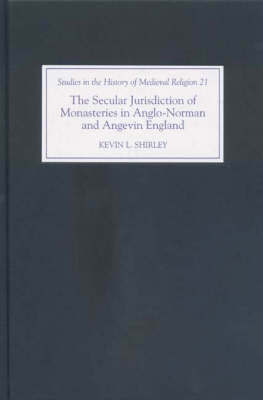 ContentsThe Monastic Honour Court; Monasteries and the County Courts; The Monasteries and the Curia Regis: The Anglo-Norman period, 1066-1154; The Monasteries and the Curia Regis: The reign of Henry II, 1154-1189; The Monasteries and the Curia Regis: The reigns of Richard I and John, 1189-1216; Conclusion.